Architecturally inspired and made using the highest-quality materials , the Vixen Coffee Table is both durable and visually appealing. 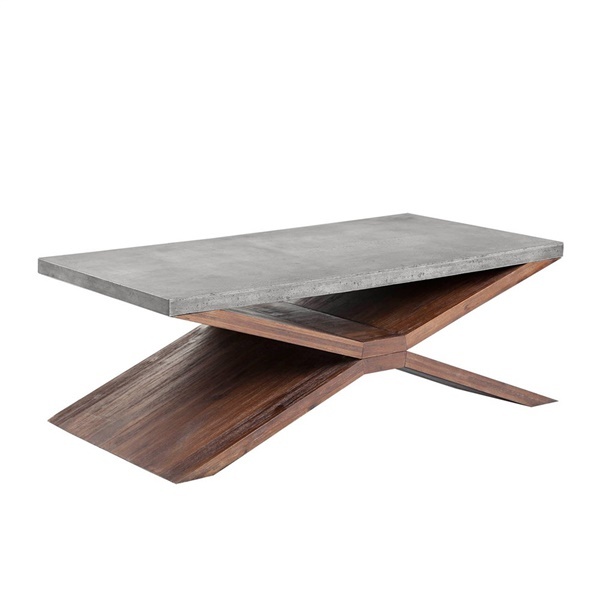 A modern concrete top is combined with a solid acacia wood x-style base to offer a unique, contemporary look. Each piece is crafted from a natural concrete mix so that it looks different, while variations of hues will enhance over time. A great addition to any contemporary home or office, this coffee table is a true statement piece. Complement with the Vixen Console and End Tables for a complete look. I'm interested in buying the base of this table (without the concrete top). Would you be willing to sell the base only? If so, how much? Thank you. Unfortunately we are unable to just sell the base for this table. Let us know if you have any other questions.